Both fell a bit since I sold them at the end of Nov.
Just as I was buying grain etf, wheat knifed lower by 3%, crashing both BBands in process. All three grains are NOT in uptrend, but show some signs of bottoming. I fully expect to be stopped out today or tomorrow, but will reenter at lower price. Some of my positions are blasting thru BBands. It's not a small stuff, but etf's like EEM and SMH. And I see a bunch of others doing same. At this point the only way this trend continues is up and up without pause. Not something we see very often. 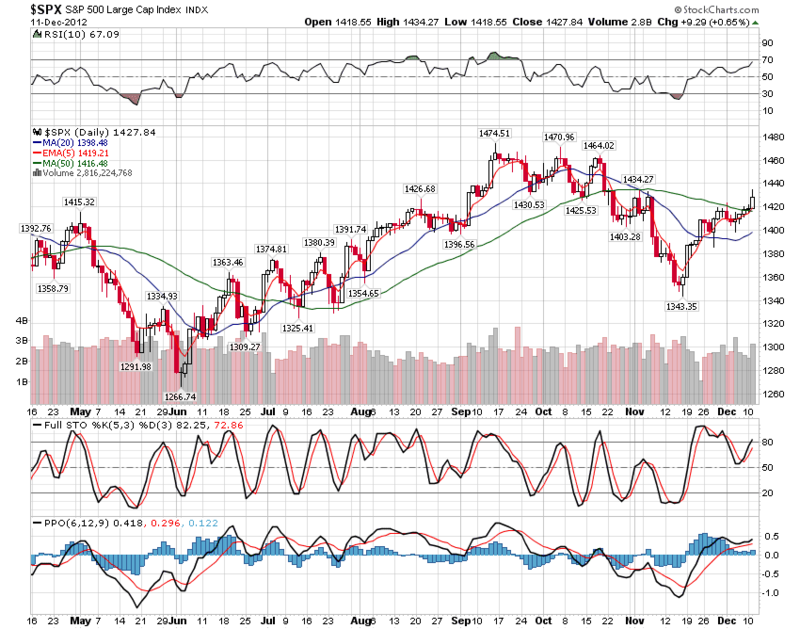 So we barely pushed above 1425SPX, but picture is questionable. 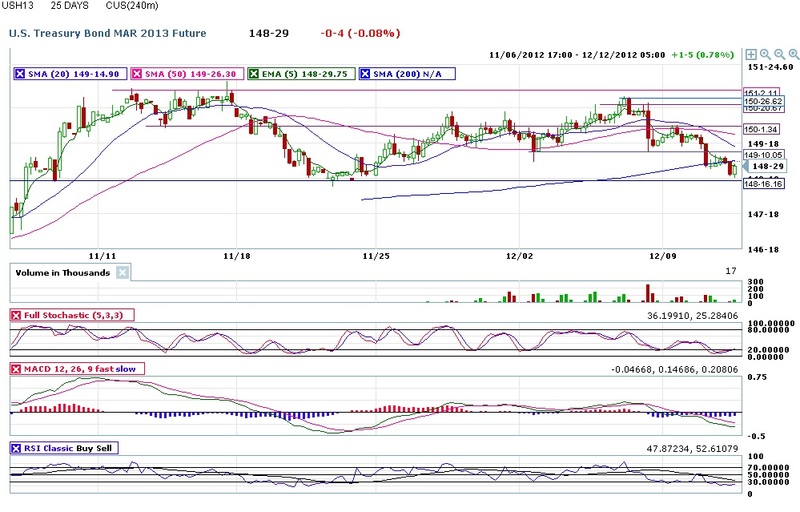 Reaction will come at some point, just as it always does, and 1400 is a definitive support. We will be lucky if it stops at 1400, see PF chart for clarity. 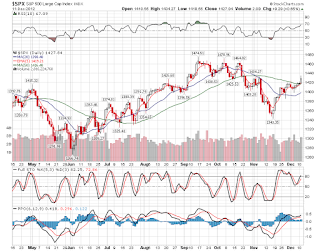 If 1400SPX broken than all this business will become a giant bull trap. We are not as far as it seems. 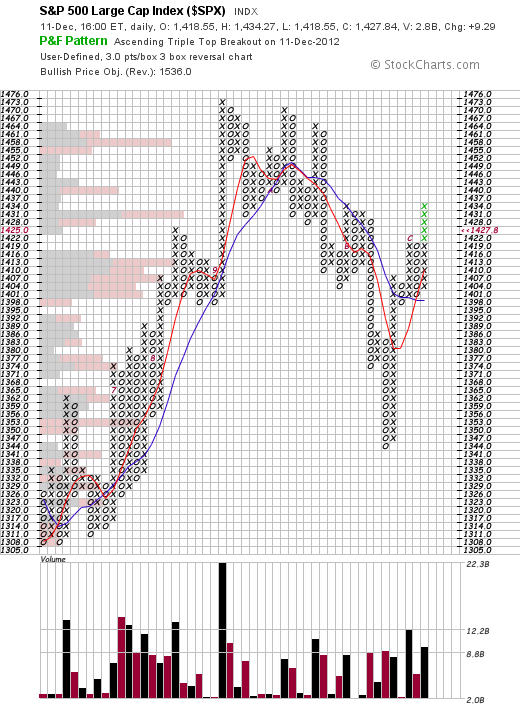 Bonds are at bottom of the box on 25day/4hr chart. Daily is in a middle of sloppy range. There may be a trade there. Watching.